Welcome to St Albans Deanery. I have a real heart to see the churches of this deanery flourish as we serve under the vision of St Albans Diocese – Living God’s Love. Our Deanery vision is developing in a way that I hope will be supportive and encouraging to you in your work in this Deanery. Here, we have many vibrant churches, spread across a variety of traditions. Working together with our sister churches of other denominations, we thank God for all that is happening here and long to see God’s Kingdom come more and more among us. I hope you find the resources of this website help you in all you do. This Deanery is a grouping of sixteen Church Of England parishes with nineteen churches stretching from North St Albans to Radlett and Aldenham in the South (see map below). The purpose of this Deanery is to support and encourage one another, to do together what we cannot easily do apart, and through Deanery Synod (a level of church governance), provide a forum for sharing and working together for the well-being of all. in order to achieve more together. Our Deanery Vision is here. 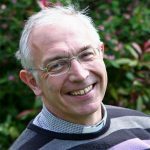 This website is a resource and support for incumbents, other clergy and laity serving in any way in the deanery. Here are links to the churches of the Deanery, to useful documents and other resources, together with key deanery contact details. It’s a functional website connecting you with what matters in the deanery. Please feedback any ideas you have to make this website even more useful for you.